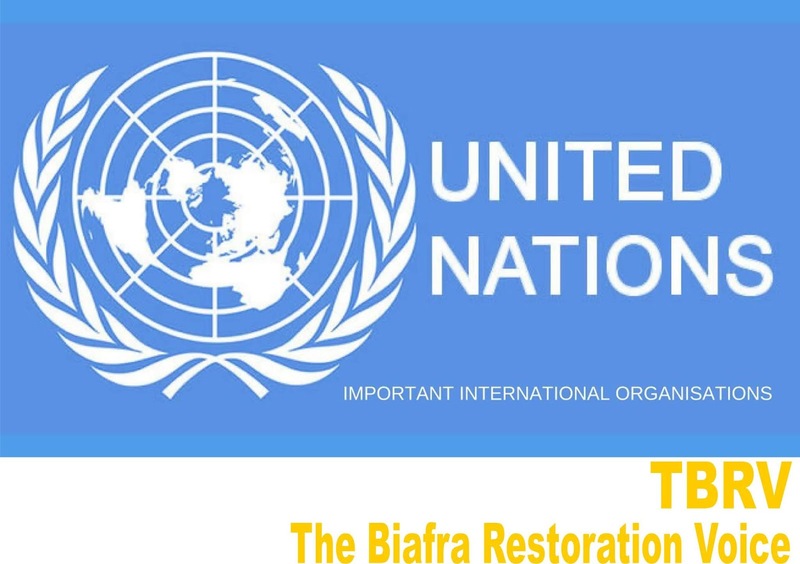 I am worried that the United Nation has continue to remain adamant on the issues of Biafran Nations despite all entreaties for her to look and consider the long-drawn agitation for Biafran Nation since 1966 till date. Nothing whatsoever is hidden from the august body as to millions of lives and properties wasted in the quest. In the current wake for Biafra Nation, which is a different departure from the 1966-1970 war, peace engagement which is in accordance to UN dictates has been religiously followed by the ever persecuted, harassed and harangued Biafrans. This has resulted in thousands massacred in cold blood. Over 28 human lives were wasted by the invading Nigerian Armed Forces. The rest is history now! I am deeply worried that the august body has continued to accommodate a country that has no provision for referendum in their constitution to continue to maintain, effect and administer her membership of the body, without of course, a clean slate of democracy credential. Nigeria comes to mind immediately the question of democracy credential comes to question. Referendum which can be vaguely defined as specific democratic political programme to ascertaining the collective will of the people through a structured voting system. There is no viable democracy without a referendum, but Nigeria, through its military junta in 1999, blacked it out from the Constitution thereby making it an impossibility for a people to offer and aggregate their views and political destiny for purposes of an enduring political change. The 1966 Constitution of Nigeria was used to carve out Southern Cameron out of Nigeria and the Mid-Western States out the former Western Region of Nigeria. But having their nefarious objectives today, the minds of the people are sealed to the whims and caprices of the clannish, tribal and Islamists Government of Nigeria. I am worried. Series of representations have been made to the UN to take a look at Biafran issue and pronounce a date for a referendum. While we believe that they are on their table, something should be done and fast too! Biafran agitators are missing by the day, some tortured to death while others are kept in most inhuman degrading conditions. Nigeria today is in the eyes of the storm and, have receded to a laughingstock before the member Nations. Imitators and impostors are having their field day unhindered. I am worried. Harmless Biafran demonstrators are fired with live bullets, children are killed without any qualm of conscience and their heads crushed by Fulani herdsmen without government raising an eyebrow. Even the World super sovereign entity, the UN have utterly failed to admonish their member nations like Nigeria government. If FIFA a football body can step into the soils of a member and pronounce sanction, I see no reason why the UN will be beating kids' glove on a serial human rights violator like Nigeria. I am worried. The question I keep asking is, what is an undemocratic and tyrant entity like Nigeria still doing as a member Nation of UN when it is neck-deep in rights violations, disrespect to Court Orders, nonrecognition of the Rule of Law, inability to maintain security. The UN has the responsibility to question the contents and interpretations of the instrument with which people are governed, especially, a failed State like Nigeria. I believe the UN is for people and humanity and not for a member that does not act in tune with the dignity of man. I am deeply worried! It is better and cheaper to nip a war in the bud than to allow it to be blown full scale, when men and logistics will be moved to mitigate disaster in a very tensed war situation. Biafra deserves her referendum before we run out of patience.